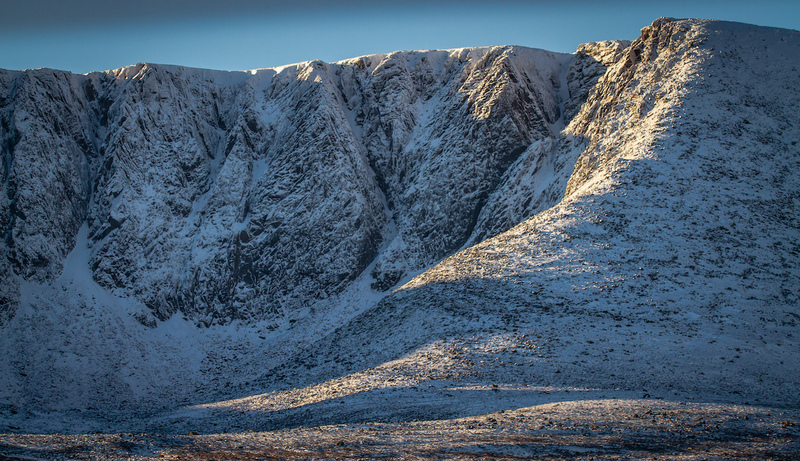 SAIS Southern Cairngorms Blog » Lochnagar again. 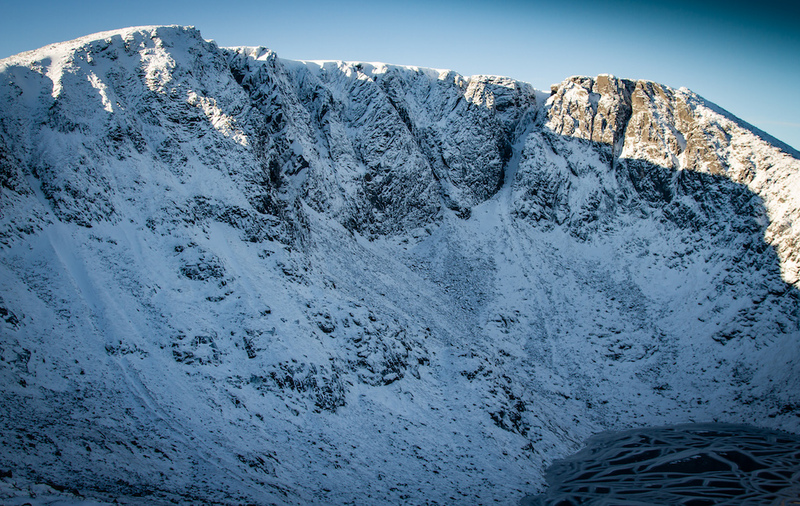 I thought I’d have another wander up Lochnagar again, this time via the standard ‘Ladders’ route. This gives us access to different aspects at a slightly lower altitude than yesterday. 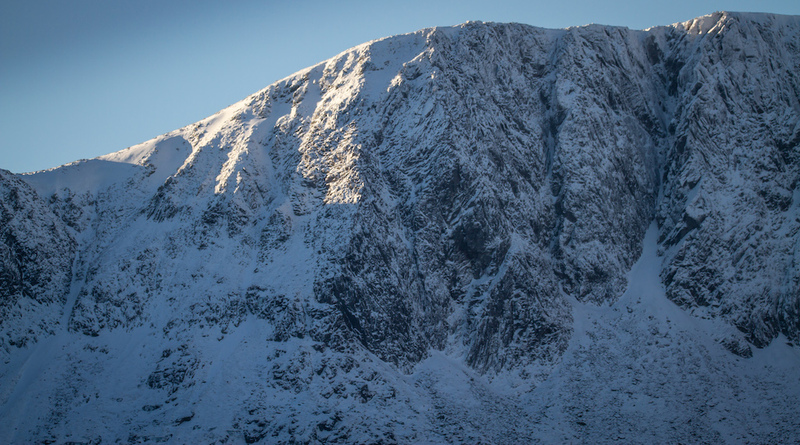 The West Ridge in the sun. Central Butress area. 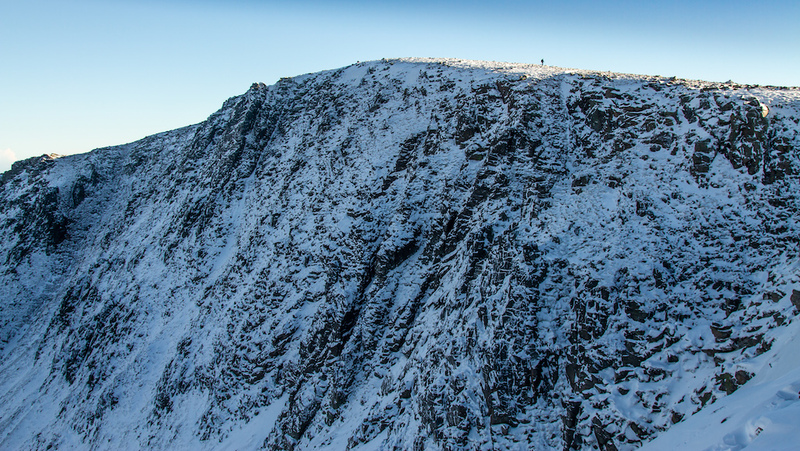 Todays ‘formal’ observations were taken at the top of Central Gully on the left. Perseverance Area, Southern Sector. 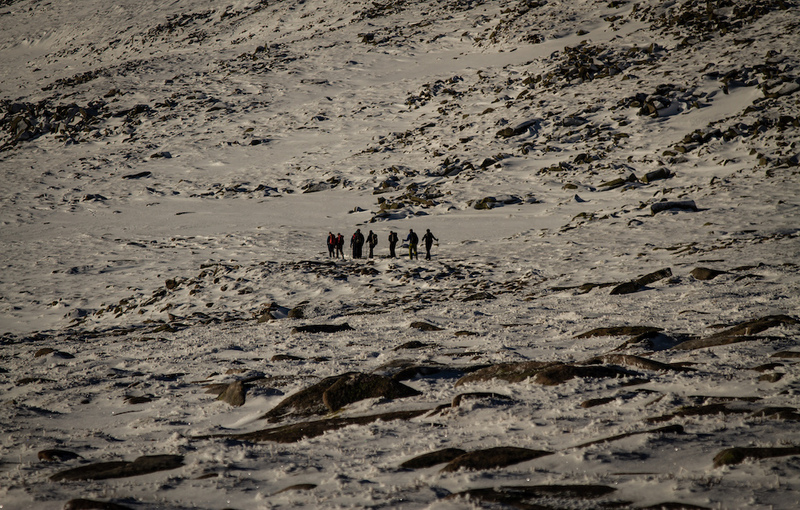 With little snow, mixed routes have been popular in Lochnagar. 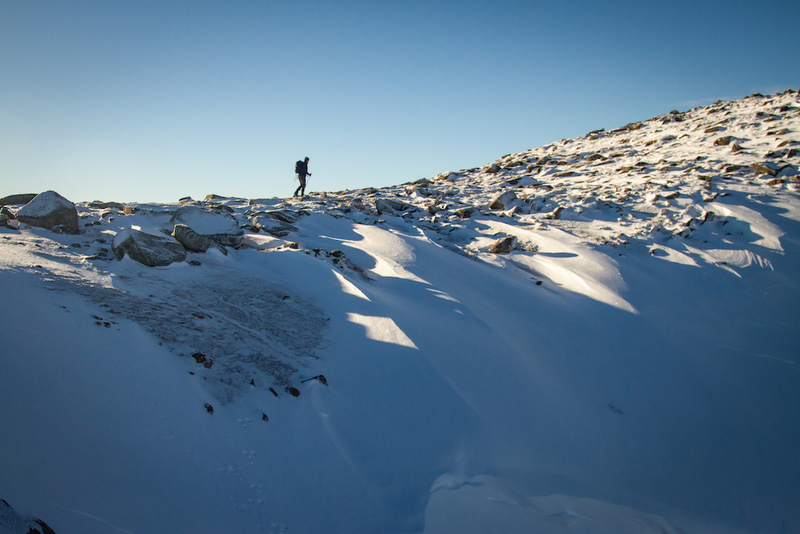 Lone walker above Sunset area. Walking party heading for the top. Plateau coverage not so complete at this level. 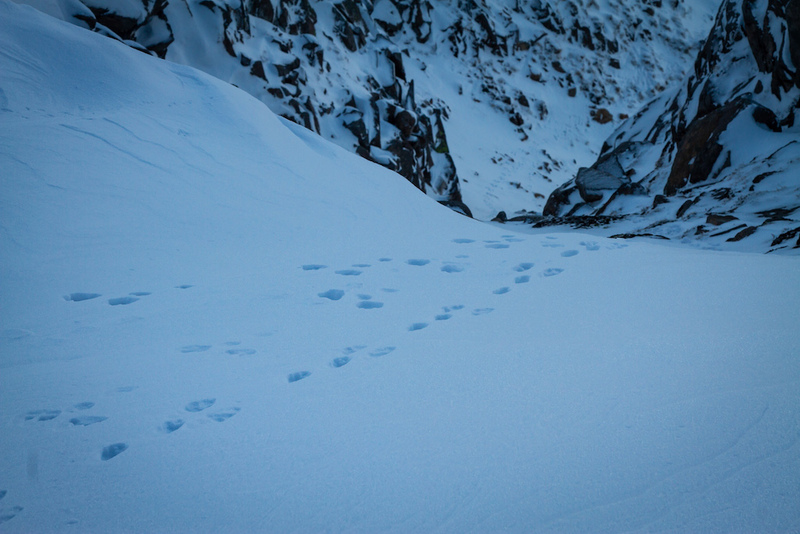 Mountain Hare tracks climbing out of steep ground. Amazing what they can climb! 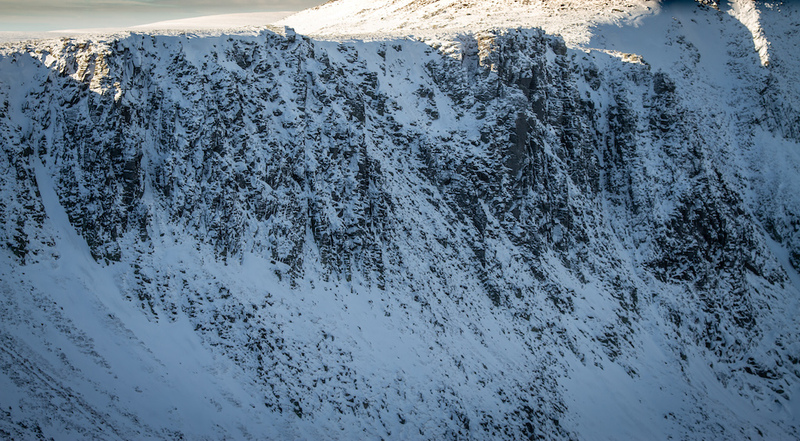 Above Central Gully, climbing Hare footprints at the bottom of the pic. Raised footprints on the plateau. 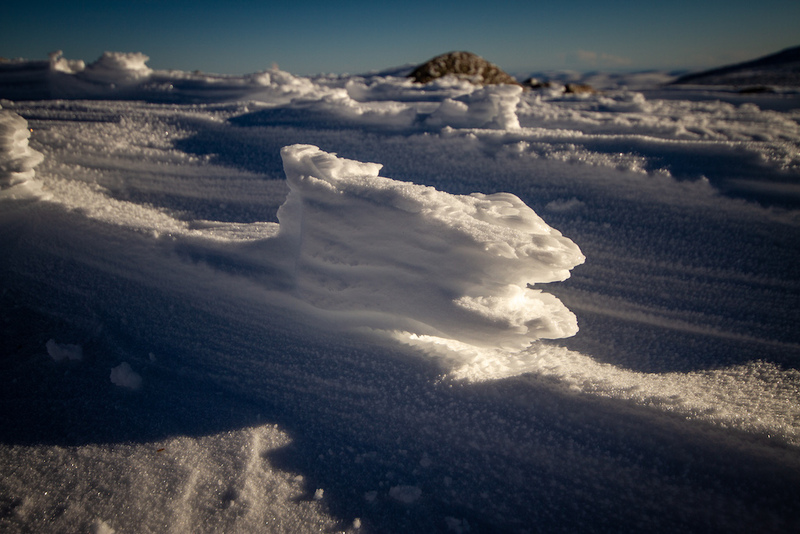 Gives us an idea of how much snow was here a few days ago. West Butress area. 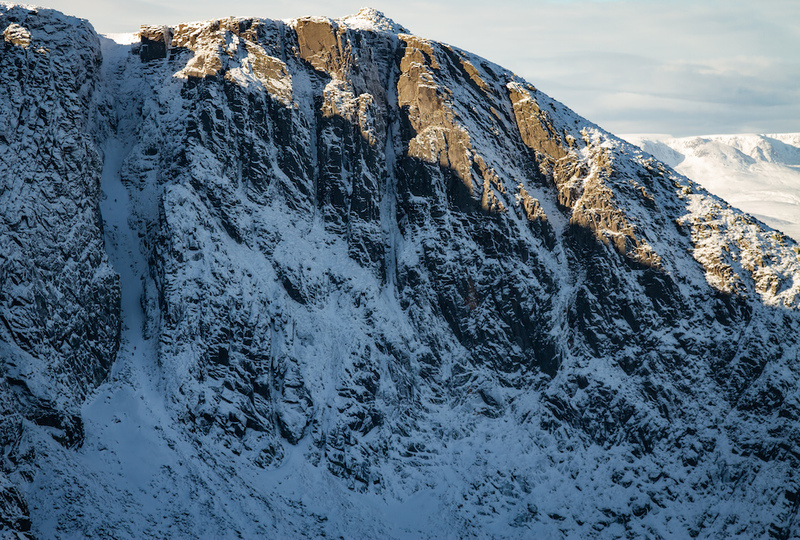 Sun stripping the steeper rock here. Note the 3 people in The Black Spout. The daily pics in the Blogs are hugely helpful in deciding hill plans or whether or not to go . Many many thanks to all you guys. H.
Thanks Hugh.The blogs have been very popular this year.